Dr. Stebbins loves being a dentist! She is committed to helping her patients achieve their best possible health, and does so with empathy and integrity. Dr. Stebbins was introduced to dentistry at an early age: She worked in her uncle’s orthodontic practice at the age of 15. In practice since 2004, Dr. Stebbins appreciates interacting with our patients and hearing “their story.” She always tries to meet people where they are, discovering their goals for optimal health. Dr. Stebbins attended Oregon Health & Science University for her Doctorate of Medical Dentistry. She is deeply committed to providing the most excellent care for her patients by spending as much time as possible on continuing education, learning the most cutting edge techniques and materials. Dr. Stebbins is a member of the prestigious Spear Institute, attending both local study club meetings and hands-on courses in Scottsdale, Arizona. She is an officer in the Montana Dental Association and a member of the Academy of General Dentistry. After graduating in Portland, Dr. Stebbins moved to Bethel, Alaska. She spent six years flying to remote villages with portable equipment and working in a large hospital clinic, to provide urgent care services to the Yup'ik Eskimo and Athabaskan people of the Yukon-Kuskokwim Delta. This often meant waiting with dental equipment in the bitter cold on gravel airstrips. When she was not providing health care, Dr. Stebbins salmon fished in her custom pink camouflage boat and hunted caribou and ptarmigan on the tundra via snow machine. Click here for a recent news article that highlights Dr. Stebbins’s adventures in Alaska. Upon her return to Montana from Alaska, Dr. Stebbins spent three years working at the Blackfeet Community Hospital in Browning. 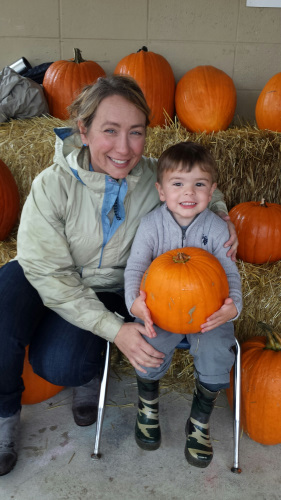 Dr. Stebbins returned to the Flathead Valley following the birth of her son Johnny. 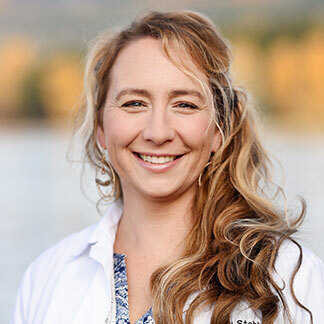 She bought Dr. Eric Daniels’s dental practice in Whitefish in September 2013, and Dr. Atchinson’s practice in 2015. Dr. Stebbins feels it is important to give back to her community. She has been a part of multiple dental missions to Vietnam and Nepal. Dr. Stebbins currently volunteers for the Shepherd’s Hand dental clinic, Sealants for Smiles Program, Headstart, and Project Homeless Connect. Dr. Stebbins is a fifth-generation Flathead Valley native, and grew up on a farm in Creston. 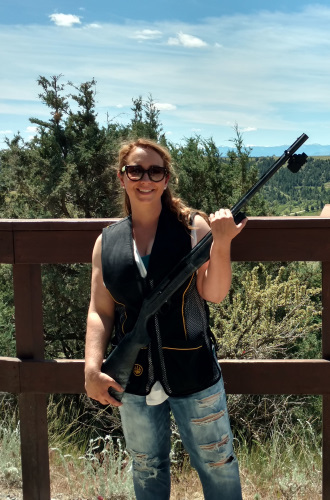 Besides running a business and being a busy mom to her young son, Dr. Stebbins has become involved in the Flathead Valley Clay Target Club. The clay pigeons tremble in fear.